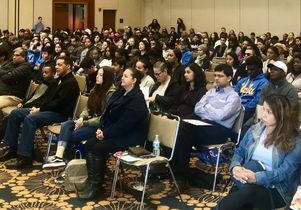 More than 600 students and parents attended the “Get College Ready” workshops at UCLA. 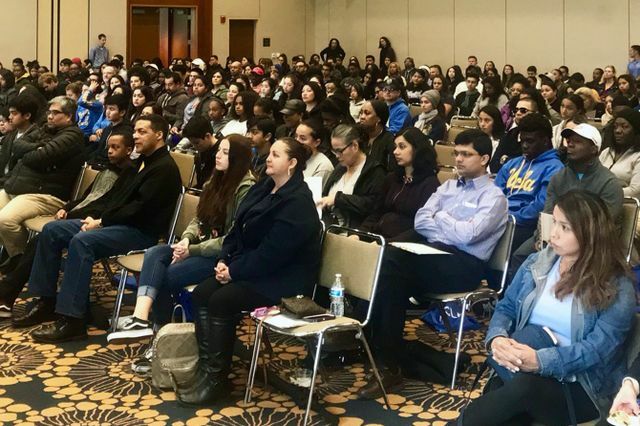 To assist in demystifying the college application and financial aid application processes, UCLA hosted Los Angeles-area high school and middle school students and their parents this past weekend. 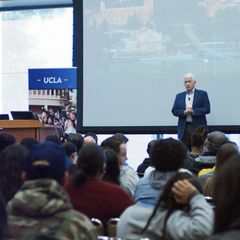 The program, called “Get College Ready,” was presented by UCLA Strategic Partnerships and Community Engagement. Youlonda Copeland-Morgan, UCLA vice provost of enrollment management, and Abel Valenzuela, professor of urban planning and Chicana and Chicano studies and director of UCLA Institute for Research on Labor and Employment, welcomed the 600 attendees. Afterward, parents and students participated in different breakout sessions that addressed the specific aspects of applying to college and campus life. Parents learned about financial aid and scholarships, and students learned how to successfully plan for college and what types of activities they could join. The day concluded with a campus tour.